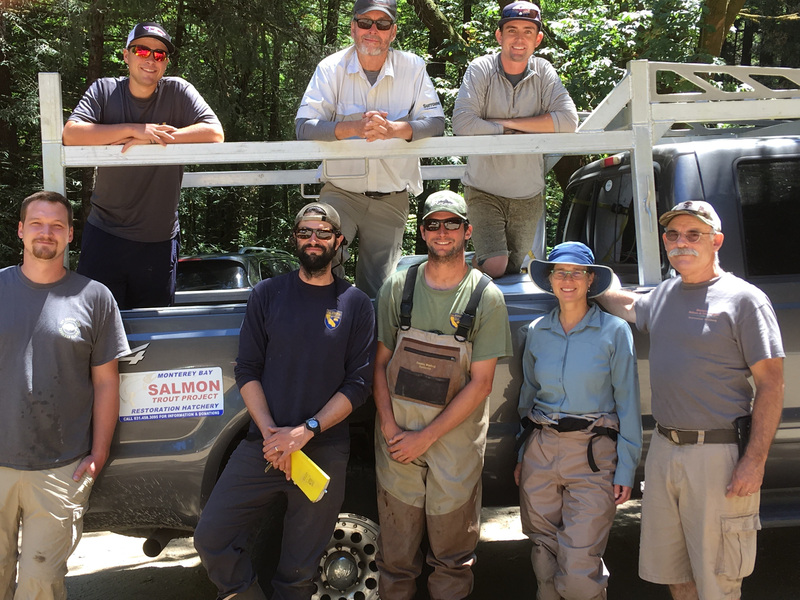 Three times in the past month, members of the Monterey Bay Salmon and Trout Project have supported Santa Cruz County Environmental Department led efforts to rescue steelhead fry from portions of local creeks whose water flow levels were rapidly declining. 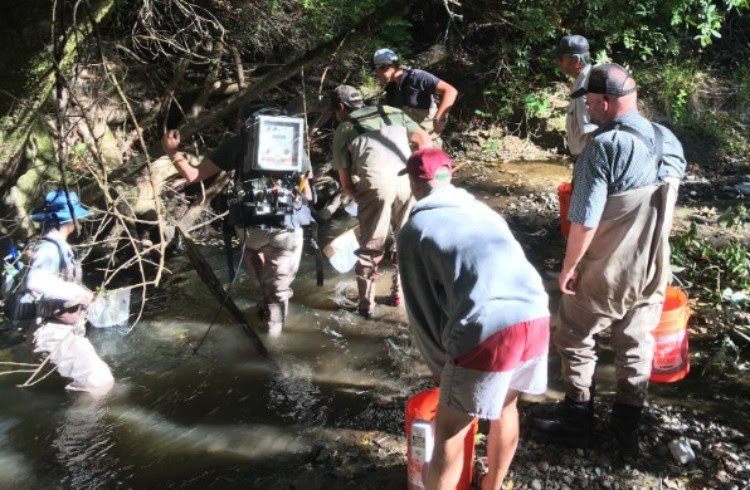 As water flowing in Bean and Corralitos creeks reduced to a trickle, steelhead were being stranded in shallow pools where rising temperatures and loss of oxygen would suffocate the young fish in days. The County of Santa Cruz, led by Kristen Kittleson, applied for and received a permit to relocate the steelhead elsewhere in the watershed. The application was endorsed by the Department of Fish and Wildlife biologist Jon Jankovitz who led the field operations on all three days. 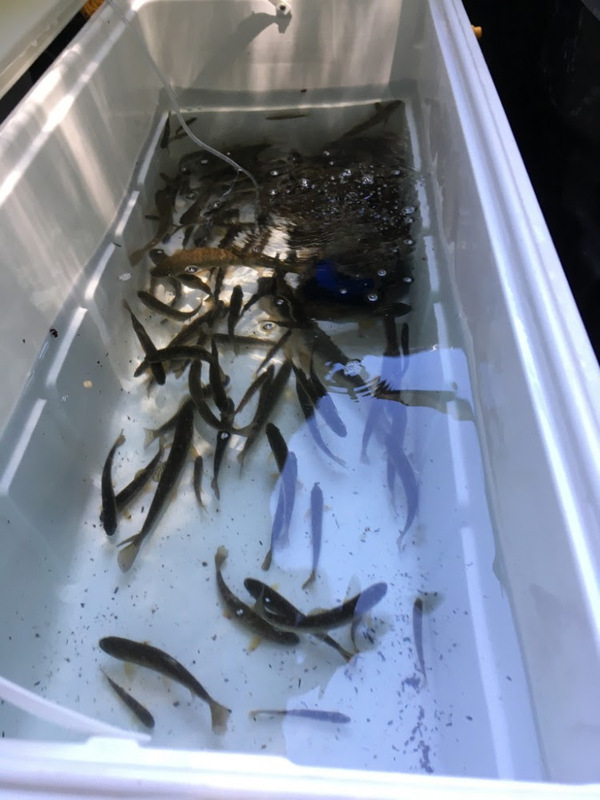 Over 1,300 native steelhead young were saved from certain death and transported to stable water elsewhere in their watersheds along the Pajaro and San Lorenzo Rivers. For more information on the Monterey Bay Salmon and Trout Project, please visit MBSTP.org.